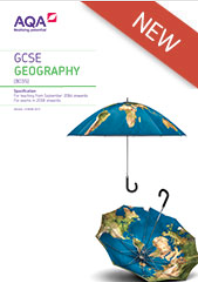 All pupils will study a various range of topics in Geography. They will complete individual, group and paired work. There will be the opportunity to complete fieldwork and independent investigations. Learning will include independent and discussion work, problem solving, project work (set over 2/3 weeks), revision, research and tasks to evaluate understanding. Pupils will complete at least one (no more than two) assessments on the above topics. Geographical skills include: learning about place, cartography (map) skills, variations of scale, literacy and numeracy, and speaking and listening. Autumn Term 1. What is Geography? From September 2016 Year 10 students will study the new Geography syllabus. Students currently study the AQA ‘A’ syllabus. They have access to Kerboodle online textbook and resources and follow a program of study that has been amended form the AQA syllabus. The Controlled Assessment Unit is a detailed study on either tourism or water on the land and will involve a field trip where data is collected. Pupils then write a detailed report on what they find in timed, controlled conditions. The field trip usually takes place in the summer of Year 10.